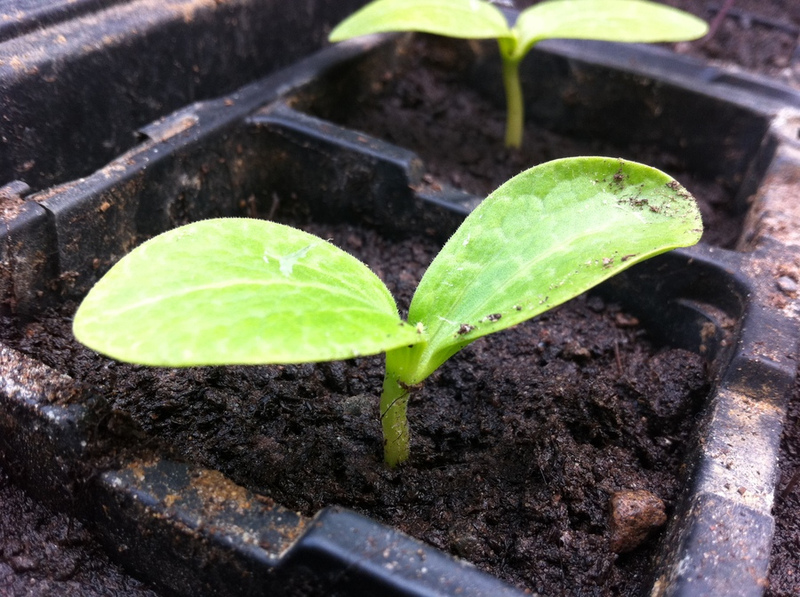 We have got the first of our 2011 seedlings: tomato, courgette (zuchini) and sweet pea. All were propagated under glass sheets in the lounge. The courgettes are on their first leaves and loot pretty sturdy. 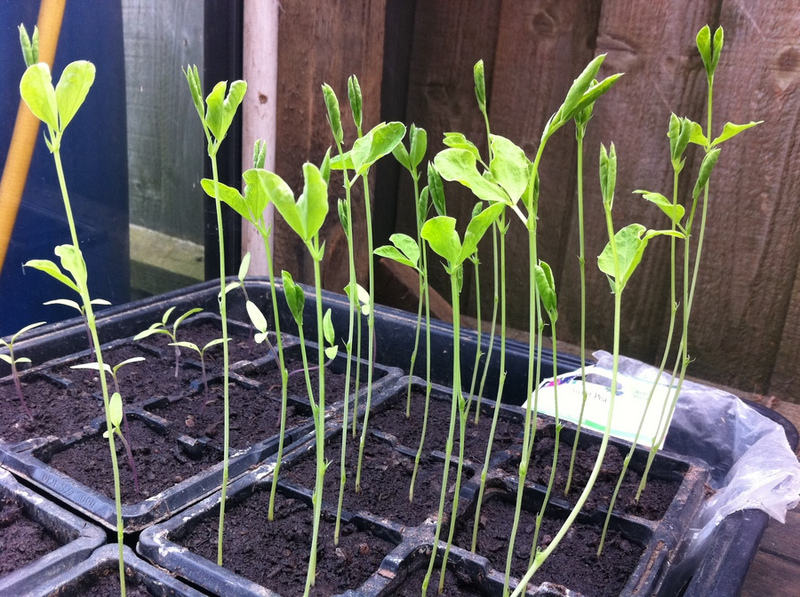 The sweet peas are shooting up fast and a few are now outside in a reasonably sheltered (and sunny) spot. The tomatoes are just making steady progress, but look healthy. All are now in the greenhouse, without any propagation aids.